A hysteric crowd shouting 'Balasaheb Thackeray zindabad', an aerial view of a sea of followers ar the Shivaji Park ground... The camera looks over the shoulder of the leader who sways his shawl in his trademark style and greets the crowd with folded hands. 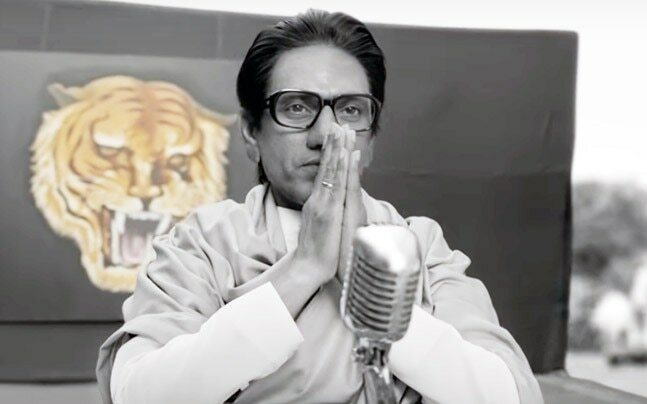 At first glance, you would think it is Shiv Sena patriarch Bal Thackeray, but a closer look reveals that it is in fact, Nawazuddin Siddiqui. 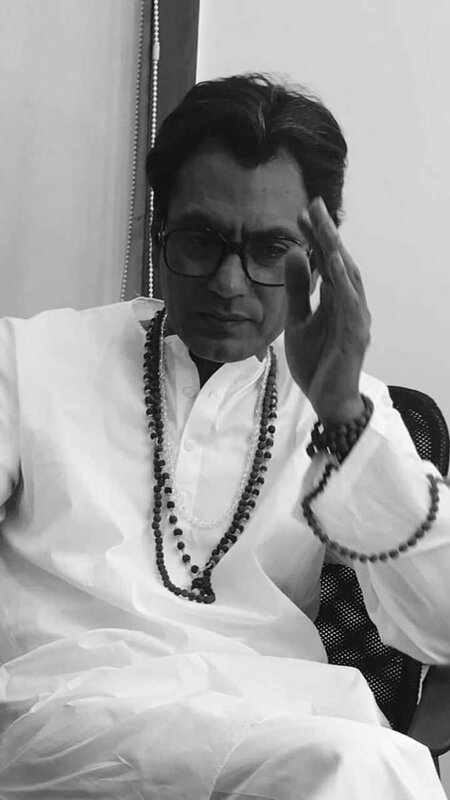 Nawazuddin took to Twitter to share the teaser of the Bal Thackeray biopic, titled Thackeray, and said that it was "an honour and pride to portray the Real King of the Country on Screen (sic)." The teaser was launched in Mumbai on Thursday by Amitabh Bachchan and Shiv Sena president Uddhav Thackeray. Thackeray has been written by Rajya Sabha MP and Shiv Sena spokesperson Sanjay Raut, who will also produce the film. It will be directed by Abhijeet Panse. At the launch of the teaser, Amitabh Bachchan showered praises on the late Shiv Sena supremo. "When Jaya and I got married, Balasaheb and Maa saheb (Mina tai Thackeray) welcomed Jaya like their daughter-in-law. Ever since then, my relations with the Thackeray family has been like a family," he reminisced. Amitabh Bachchan also shared more memories with the Thackeray family. "When I met with an accident during Coolie, I was brought from Bangalore to Mumbai. It was raining and there were no ambulances available. At that time, it was the Shiv Sena ambulance which came to take me to the hospital. I will remain indebted to Balasaheb forever for this" he said. "There was a time when I was subjected to several allegations. Balasaheb called me and asked whether there is any substance to it. He stood by me throughout," the Piku actor added. Nawazuddin Siddiqui, who is currently in Mauritius, made an appearance on video. Speaking in Marathi, the National Award-winning actor said, "It's an honour to portray Balasaheb on screen... I know it's a big responsibility, but I will not disappoint you." Shiv Sena president Uddhav Thackeray was all praise for the film's teaser. 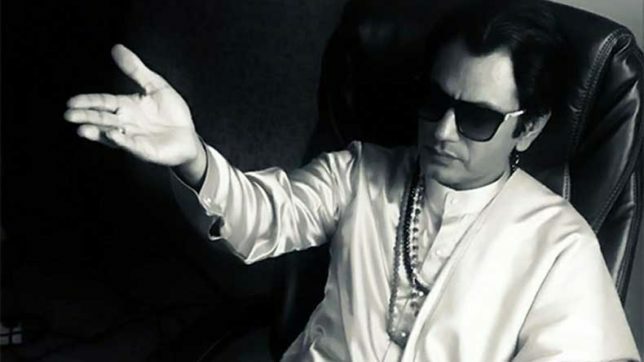 "It's not an easy task to portray Balasaheb on screen... It's not a hero-heroine film... It's a film on a person who made common man a hero," Uddhav said. Last edited by ashdoc; December 25th, 2017 at 11:37 AM. I just saw the trailer today morning.. trailer is out too soon before the release date.. Jan 2019.
movie to be released on 25 jan . trailer out . will be quite an occasion . A peaceful actor playing Balasaheb is also reflective of contradictions that Balasaheb was. He was reported to say that if someone wanted to commit suicide, he should come to him, pick up a pistol, kill 2 peacefuls and then get death penalty. Yet he had Dilip Kumar as his friend and beer buddy. He also gave tickets to a peaceful lady in 1990 (Anjuma Ahmed). Not sure if he is a Bawa or a peaceful, but Parvez Damania was also a buddy of Bal Thackeray and became an MP. Also, when Sanjay Dutt was in Jail, Congress ditched his Abba Jan and started morchas against Sanjay Dutt, but Balasaheb and Shatru Bhaiyya came to his aid. Eventually I feel, especially in the long run, Shiv Sena is utter flop.. no agenda other than non-inclusive Marathi manoos crap.. finally like most regional parties it's a family business in the garb of political party. Agree with Sarvee. Name one social or economical impact Bala whatever has in Indian history. He did push building 50 flyovers in Mumbai and Mumbai Pune expressway. The expressway was a personal project for him since one of his sons died in a accident driving between these 2 cities. I was based in Dillika and some Belgian co was interested in this project and wanted some time to prepare the bid, but the sponsors said a flat no and that project had to be pushed. The very fact that more than 20 percent of Mumbai's population is still Marathi is due to Balasaheb . Thanks to him marathis got jobs in banks and corporations , something that was denied to them in favour of South Indians . Balasaheb had to carry out a violent campaign against favouritism for South Indians . The slogan of the campaign was 'uthao lungi , bajao pungi'---lungi being a favourite dress of South Indians . marathi boys and girls have jobs in malls and multiplexes due to pressure by the two Senas . Yeah now that Balasaheb is no more , at least educated marathis don't want to vote for Shiv Sena any more . Uddhav has badly dented the roads and footpaths by corruption , pocketing most of the money meant for repairing them . Result is roads with big potholes in them especially in rainy season and causing many motorcycle accidents . Also footpaths are crumbling . Most educated marathis are going to vote BJP in Mumbai . I don't know about the lower class though . The coming elections will see BJP winning in Mumbai most probably . But that's what it all started with . Shiv Sena was a regional party for Marathi. But then they realized that they can become more powerful so started to get into national ambition. Eventually, the message was lost and they did not know what they were standing for. In the end they did nothing good. I know personally as my uncle was contractor for BMC and he used to tell me that all corporation is now not only filled with corrupt Shiv Sena but also gundas . So now you pay up bribe or get beaten up. ^^ Both the Khau Sena (SS and MNS) are famous for gundas as corporators.. In Mumbai each khau sena corporator has 2-3 flats gained from the loot of common people.. these buggers have used the marathi card to the max. Every few days shout at Gujjus, UP, Bihari, Shetty, Tamil .. and get re-elected with minimal work and maximum collection of loot, of course share the exploits with Thackeray family.